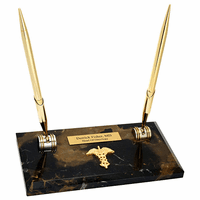 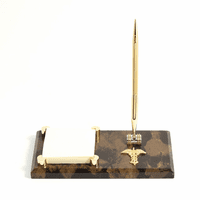 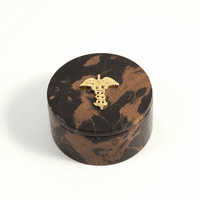 FEATURES/SPECS This genuine black marble with unique veined accents is a beautiful and practically gift for anyone in the medical field. 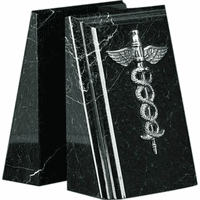 This highly polished marble showcases the Caduceus symbol front and center. 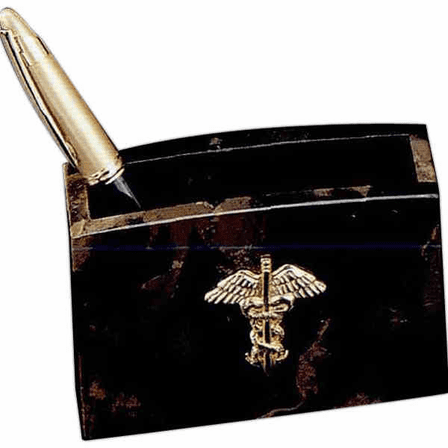 The "cup" part is wide enough to be useful, but not overly open as to deter from the overall beauty of this show piece.